As Minnesota’s largest paintball store, we stock the full line of Tippmann paintball markers, including the Tippmann 98 Custom, FT-12, Tippmann A5, Tippmann TiPX pistol, X7 Phenom, and the Crossover. We also stock Tippmann’s US Army Paintball line of paintball gear which includes the Carver One, Alpha Black Tactical, and Project Salvo paintball markers. Tippmann is the world leader in high-performance paintball markers and accessories, making quality products that can withstand the rigors of the game. From all-weather/all-temperature valves to extra-tough marker finishes, Tippmann uses top-of-the-line technology to ensure that products are strong, durable and affordable – always with today’s paintball player in mind. 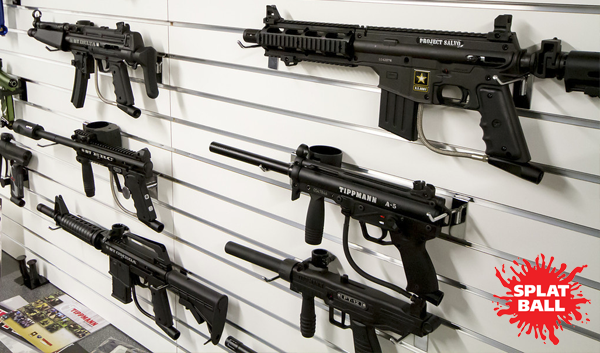 Tippmann is famous for quality products and outstanding service. All Tippmann markers, including the new U.S. Army line, are individually test shot before they’re packaged and sold.